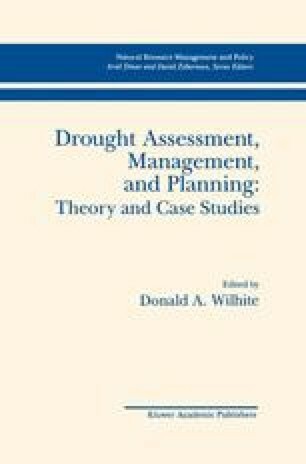 Drought is the most complex and least understood of all natural hazards, affecting more people than any other hazard (Hagman, 1984). For the past several decades, we have been reminded again and again of the ravages of drought and the inability of most societies to effectively mitigate impacts in the short term and reduce vulnerability in the longer term. In fact, most scientists would agree that vulnerability to drought is increasing for a number of reasons, the most important of which may be the increasing pressure of an expanding population base on limited water and other natural resources.